G.R.A.S.S –five products that will help you slow down the signs of aging. 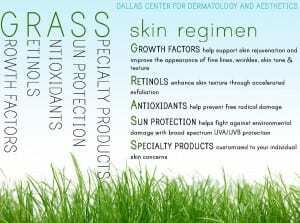 GRASS will keep your skin looking healthy, younger and more radiant! No we don’t mean the green stuff in your lawn, we are talking about G.R.A.S.S –five products that will help you slow down the signs of aging.